3 habitaciones, capacidad para cinco grandes ubicación además, privado para una escapada. 3. 5 acres cima de la montaña granja, patio cercado, con árboles frutales maduros. The house has everything - and more - that you could want in a home away from home. Heavensent! The owners, Yesi and Estefan, have gone beyond expectations to make their guests comfortable. The house is simple and very clean. The “WOW!” factor is the view and tranquility. The large modern washer and dryer were extras that we did not expect. Estefan was always available as needed. This was one of the main reasons we chose this VRBO. Most reviews say they will return. As for us, we definitely will! If this property were for sale, we would buy it!!!! The property has a special inviting energy. Kudos to Yesi and Estefan! A very pleasant and relax place to enjoy your stay in the north west area in PR. Cleanliness, beauty & everything you need to have a wonderful stay in Quebradillas!! Thanks for leaving the house in such a nice and clean order. We appreciate that. We look forward to your trip to PR. My overall experience was very good. Property was very clean, spectacular view and host was very helpful. We were a Family of three traveling for spring break. a lot of people told us to stay in Old San Juan but we are so glad we took a chance on this cute house up on the hill. The view was amazing and we fell in love with the north west end of the island. Stefan and his wife were very helpful with sharing a few of this areas hidden gems. We will definitely be back to PR and we most certainly would like to stay at this house again, it had everything we needed to enjoy our stay. We glad you enjoyed your stay with us. 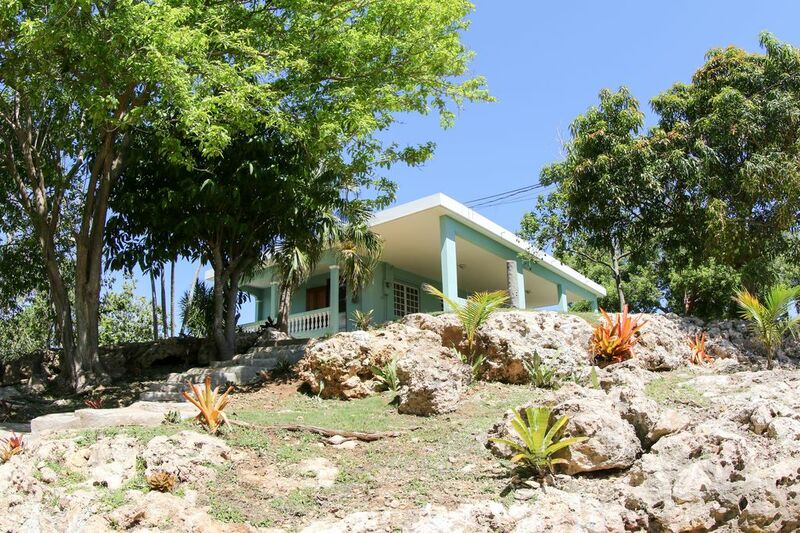 Quebradillas and this property specially are a hidden gems in themselves. Come back again.